grown to be one of the biggest of its kind in India, providing general education and vocational training to its inmates, who number 400 at present. 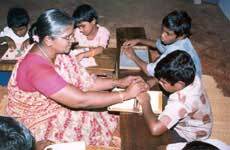 Since 1981 – the International Year for the Disabled Persons – much emphasis is being laid on Integrated, Educational Programme for the Visually Handicapped, which is being carried out by specially trained teachers in 13 Centres in this Diocese, benefiting 103 visually handicapped persons. 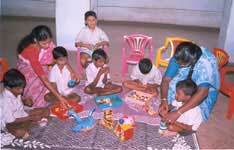 Pre-School for the Visually Handicapped – About 20 toddlers are being looked after. Residential High School for the Visually Handicapped – Standard I to X. Government syllabus is being followed. 179 students are benefited. 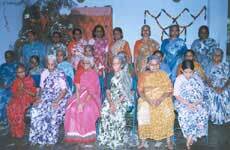 Workshop for the Visually Handicapped – 30 young adult Visually Handicapped women and men are weaving handloom clothes like Bed Sheets, Sarongs, Towels and Hand Towels. Computer Braille Press – This is in an infant stage. The visually handicapped persons print some of their school books, guides and also Psalms. 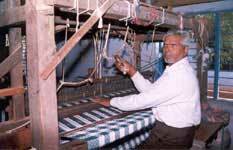 Sales Room Counter – The finished products like Bed Sheets, Towels, Sarongs are sold out to the public through this Counter. Guidance and Counseling – Mental, moral, spiritual and academic guidance and counseling is provided for those in need of it. 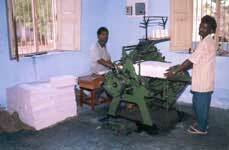 Rehabilitation – In some cases the Visually Handicapped persons are rehabilitated according to their needs. Referral Services – The Visually Handicapped people are referred to other Centres as per their requirements. 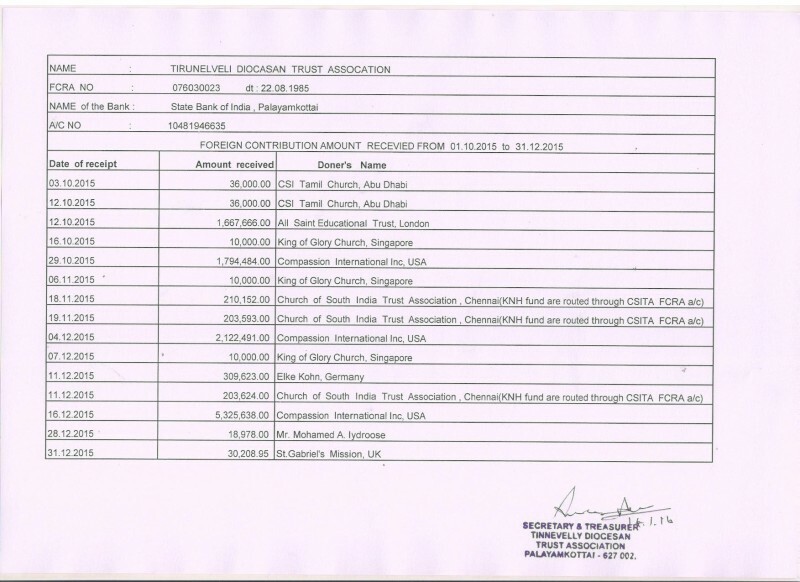 To run these programs we are in need of your support – prayers, money and material. We invite your participation. Whenever you celebrate your Birthday, Anniversaries or any Festivals in your family, please continue to remember these Poor Visually Handicapped Children and help us. Please introduce this unique Ministry to your friends and relatives. The Third Sunday in Lent is observed as the “Sunday for the Visually Handicapped”. On that Special Day please collect “SPECIAL OFFERINGS” for the welfare of Visually Handicapped in the local Churches and send these offerings to our School. And please remember us in your prayers for all the programs that are being performed in the School and for the welfare works. A Rehabilitation Centre for the Blind has been opened at Muthur to train the blind in rurally based rehabilitation programmes. A Centre for the Elderly Blind has been set up to provide residential care for its 25 inmates.A Rehabilitation Centre for the Blind has been opened at Muthur to train the blind in rurally based rehabilitation programmes. A Centre for the Elderly Blind has been set up to provide residential care for its 25 inmates.